At .21ml our lip butter is 40% larger than mainstream lip balms. It is safe for home composting and filled with natural ingredients intended to take your lips on a fantastic voyage of cocoa & vanilla bliss! Emollient rich raw cocoa butter keeps the lips supple while apricot kernel oil softens fine lines and is full of essential fatty acids. But we didn't stop there. We found organic sustainably sourced vanilla plantifolia (bourbon vanilla beans) and solar infused it's healing properties within the kernel oil. Vanilla oil is full of antioxidants that round kick free radicals and is a known aromatic stimulant. A sacred aphrodisiac. 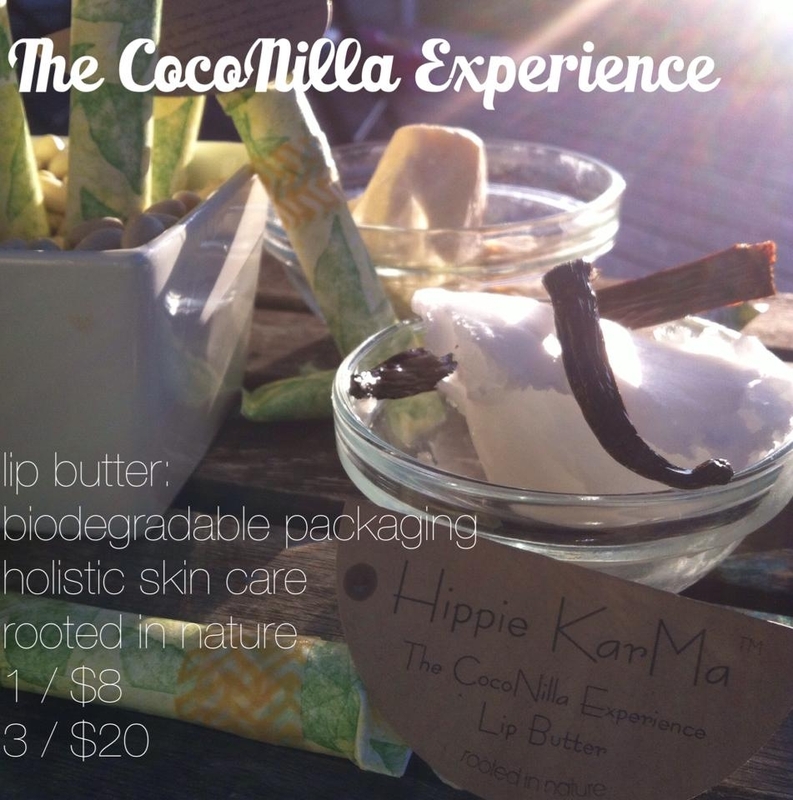 Kiss in some cold pressed virgin coconut oil and beeswax and you've got yourself one groovy little number! "Still my favorite lip balm. I love everything from your packaging to product and YOU. Thank you for BEing. Xo." Zaiden, creator and Love Light Giver! Soul Proprietress of BEing herself.